Online brands, companies, and business owners are always looking at expert SEO tactics to enhance their online presence. 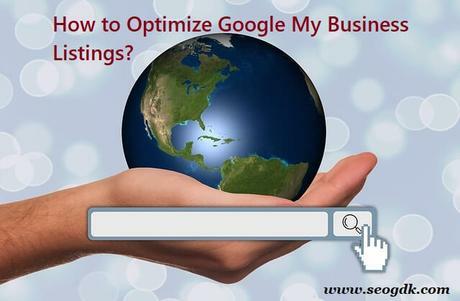 One of the best ways to strengthen business awareness is by making the most of the local SEO tactics — as this is the way a business works towards capturing the local audience and do favorable business. Of the many local SEO tactics, one of the important ones is to opt-in for the Google My Business Listings. Over the years many companies have opted in for this listing along with other local SEO tactics and have benefited immensely! They have claimed a good presence in the regional market and made sufficient profit. If you don't know how to go about it, you might want to reach out to a professional service provider. You can browse through Webmetrix Group SEO and other similar sites to get adequate help. If you haven't yet created your listing, then do this at the earliest! You merely need to be there at the My Business web page from Google and opt-in for the "Start Now" option, that's [resent in the left corner on the upper side. Add details to the entire important field. Make sure that your profile is complete with accurate data filled in. The category or the group that you select will assist Google to determine to which search does the local listing belongs. Make sure to choose from the line-up options of the categories available. Know that you are not allowed to set up your group. What happens when you don't come across a particular category which elucidates your business type? In such a situation make sure that you settle for a generic one that defines the same correctly. A good quality image always assists your listings to be distinctive! It enables potential users to get a glimpse of the same and know what they can expect. To outline all your products correctly, ensure that your pictures are of a very HD quality, providing excellent clarity. Google’s algorithm will check the authenticity of the listing. Here consistency is the key. It means you need to ensure that your business address is the same that you have shared online and in social media. Check for spelling and same words written in short-form or in different spellings. Make sure that you correct the same and keep the address as is everywhere. People will want to call you and know about your company and products. Hence, it makes sense that you add in a phone number along with the necessary local area code. Additionally, ensure that this local number also gets showcased in your landing or home page as well for better results.